What is a photo? It is an imprint of your personality. A memoir of time. A piece of art. A colorful reflection of your personality. A photographer shoulders big responsibility of capturing eureka moments, sadness, melancholy, and myriad of emotions with their camera lens. Although word of mouth marketing works for photographers, they can easily make their art and talent accessible by printing their contact details, logo and business information over customized photography magnets. Their 4×5 photography magnets would end up in homes over refrigerator door. No need to say what they mean because everyone understands the emotional quotient associated with these custom magnets. 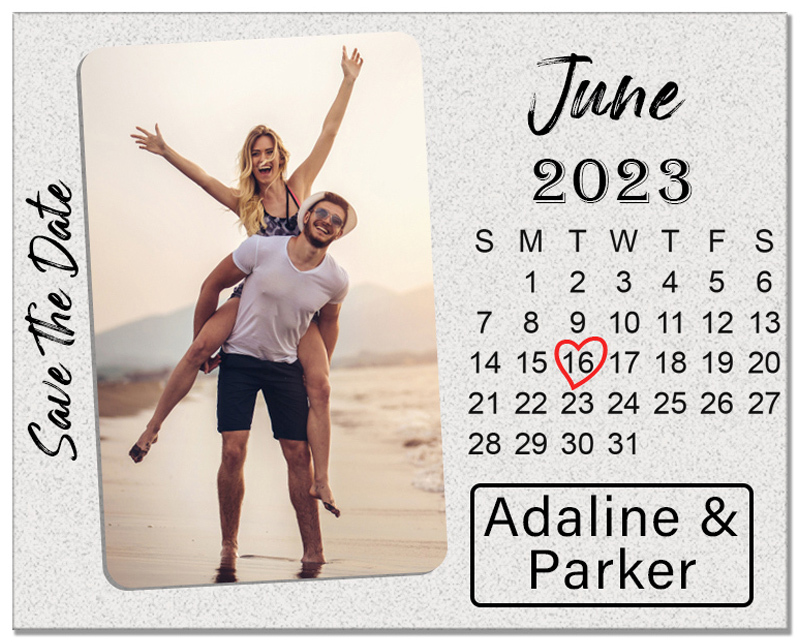 Save the date magnets are sure to become treasured items over refrigerator doors or your guests. Most online ecommerce magnet suppliers offer benefit of free full color printing with their personalized magnets. This means couple who wish to announce their grand day in style can design their wedding announcements the way they want without bothering about escalating their costs of printing. They can work with as many colors as they wish. It is customary to add images of a bridegroom and their wedding date over, these customized magnets prior to gifting. 4×5 calendar magnets can be employed by schools and businesses to attract their customers. These calendar magnets become a good keepsake and end up becoming a refrigerator art. Magnetic calendars work great for all individuals and businesses, which wish to register 365-day presence in the homes of their customers. People with artistic inclination can easily rely on these customized magnets to sell their art and attract loyalists to their camp. 4×5 religious magnets are sure to end up as a keepsake forever. A noble religious thought never fails to make impressions. Church prayer groups, choir groups, churches and others can easily avail these customized magnets for buying attention of other fellow followers or non-believers. Customized full color magnet highlighting noble thoughts or some holy images are sure to buy attention of viewers and they would retain it prominently over their refrigerator door or work cabinet with ease. They won’t mind sharing the wisdom highlighted over these custom magnets to their family and friends. Now you may what does it mean? Then simple answer is they mean arts and entertainment information printed over customized magnets 4×5. Being large, these personalized magnets would work for art galleries, museums, planetariums, traveling exhibits, theatre companies, radio stations, and many others. They can hand these full -color advertising magnets as a souvenir or a fundraiser or a business flyer depending on the choice. Infinity is the only limit to exceed with these custom 4×5 magnets. You can customize it with special information that you wish to share with your loved ones in the colors of choice because free full color printing is a value added feature on online stores. 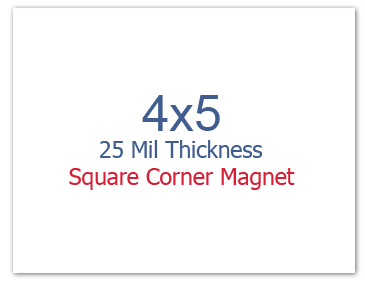 Free art setup, free online design proof, and free shipping are some benefits of outsourcing your customized 4×5 magnet from eCommerce stores stocking 4×5 magnets.